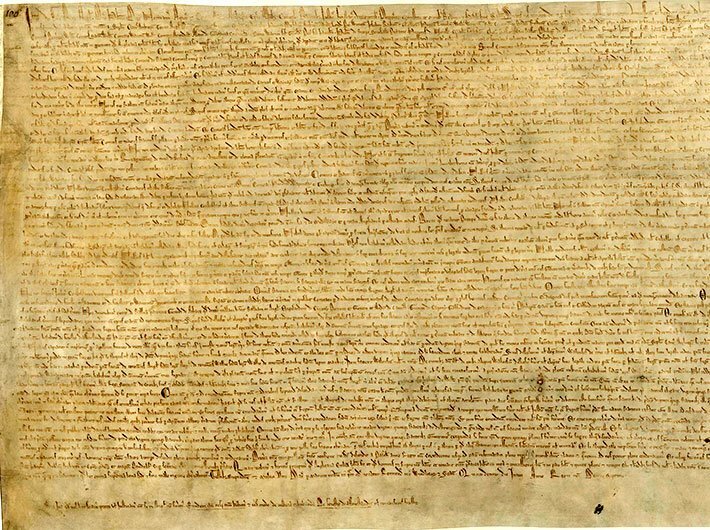 The Magna Carta, written on this day of June 15 over 800 years back in iron gall ink on parchment in medieval Latin, can be described as the cornerstone of individual liberty in India. It was relevant then and continues to be relevant today. The medieval age document is singularly responsible for many countries to enjoy freedom today. This is particularly true for India, which imbibed the spirit of the document when the constitution was being penned. “No free man shall be seized or imprisoned, or stripped of his rights or possessions, or outlawed or exiled, or deprived of his standing in any way, nor will we proceed with force against him, or send others to do so, except by the lawful judgment of his equals or by the law of the land. “To no one will we sell, to no one deny or delay right or justice,” said the Magna Carta that was signed in 1215 between King John of England and rebel barons. Article 21 of the Indian Constitution is quite clear -- “no person shall be deprived of his life or personal liberty except according to the procedure laid by law”. Mahatma Gandhi, who fought for racial equality in South Africa, too referred to the Magna Carta on the eve of his departure to India. In his “A farewell letter” in the Indian Opinion, a weekly that published in Gujarati and English, Gandhi explained about the “settlement” and what it means. “In my humble opinion it is the Magna Carta of our liberty in this land. I give it the historic name, not because it gives us rights which we have never enjoyed and which are in themselves new or striking, but because it has come to us after eight years strenuous suffering that has involved the loss of material possession and of precious lives,” said Gandhi in the letter that was published on July 29, 1914. Magna Carta is all about equality, freedoms and rule of law. Individual liberty, which is exceedingly precious in a democracy, is safeguarded through it. The kind of freedom we enjoy today would not have been possible without democracy evolving over the decades. There were democracies before the Magna Carta, but this singular document has spawned a generation of men and women who have ceaselessly fought for civil liberty. India stands out as a fine model of democracy, all thanks to the Magna Carta whose letter and spirit we have imbibed.